Robert Campbell, architecture critic at The Boston Globe, reviewed the Interdisciplinary Science and Engineering Complex at Northeastern University in the Sunday edition, August 20, 2017. 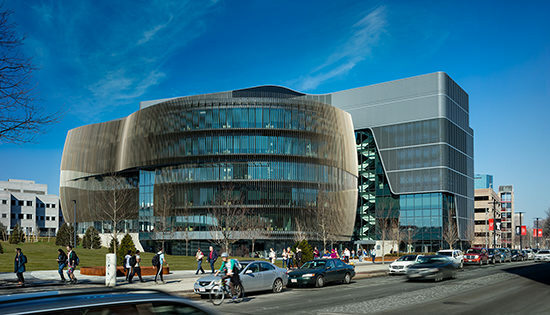 When students first walk into the newest building at Northeastern University, they sometimes utter an audible "wow." The students get it right. This is a five-star piece of architecture. I totally agree this looks like a 5 star piece of architect amazing building for a university. Of course they will be awestruck.. The building looks really awesome in the picture itself!